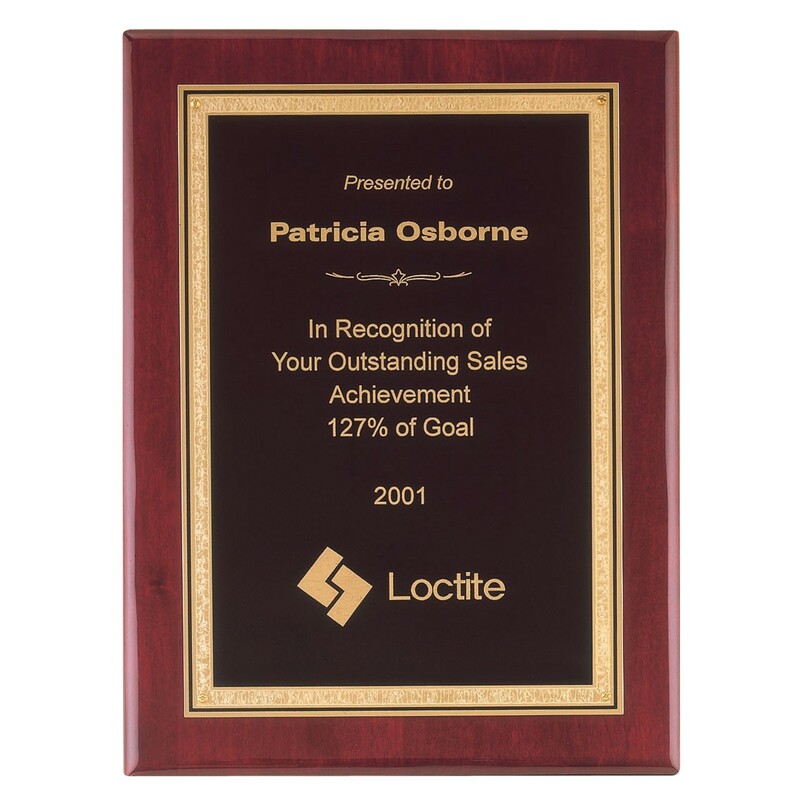 The Florentine Embossed Wall Plaque will add some classic elegance to your award ceremony! This plaque has a large black brass plate with a Florentine border attached to a solid rosewood plaque. Your engraving will be etched in a bright gold color to match the bordering. This wall plaque award is available in four sizes: 7x9, 8x10, 9x12, and 11x14.